With Rocket Pass 3 just around the corner, we wanted to let you know what to expect on April 17. Not only will it introduce a brand new lineup of items to unlock, but you'll also gain access to free and premium weekly challenges.Before you eagerly take the field on day one, here is everything you need to know about Rocket Pass 3 and Weekly Challenges. Rocket Pass 3 challenges will rotate on a weekly basis, with each week offering up three challenges for free players and three challenges for premium Rocket Pass users. If you have not purchased Rocket Pass Premium, you can still make progress on premium challenges at any time, but you will only receive the Tier Points from Premium Challenges and unlock the rewards after Rocket Pass Premium has been purchased.If you purchase Rocket Pass Premium late into Rocket Pass 3, you will receive the Tier Points from completed Premium Challenges in expired weeks. ?Players can upgrade tiers by earning ten Tier Points. Tier Points are earned by completing Challenges and Online Matches.Challenges will be worth three, five, and eight Tier Points depending on the difficulty of the Challenge. The Weekly Challenge list will refresh each Wednesday at 10:00 a.m. PDT (5:00 p.m. UTC) throughout Rocket Pass 3 and you must complete them when they are available. The Pro Tiers are back! These rewards are unlocked by the truly active?Rocket League?players who tier up beyond the maximum of 70.?Pro Tiers will grant Painted items from Rocket Pass 3, and will have a chance of being Certified or Special Edition. As always, rewards earned from the Pro Tiers in Rocket Pass 3 are tradable. While tiering up to level 70 is a fair amount of work, it’s by no means impossible in the approximately three-month time frame, especially with the new challenges helping out, too. If you still think you won’t make it, you can unlock more tiers with Cheap Rocket League Items at Joymmo.com, a reliable, cheap and fast online in-game currency store. Please feel assured that our items are hundred percent safe, as many players have bought out products and we’ve received great reputation for our service. 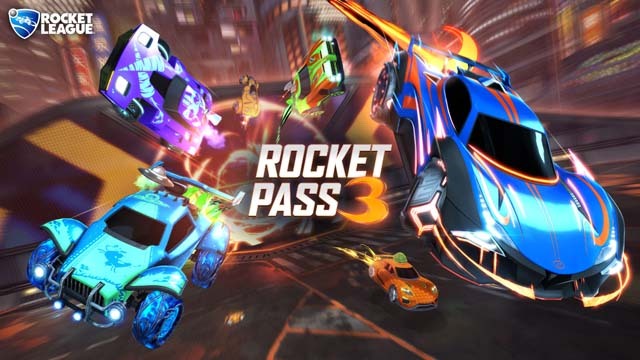 For more details on the Rocket Pass 3 and a full list of all the items in the Rocket Pass 3, you can watch the video below. So what do you think? Are you excited to start earning new items in Rocket Pass 3? Will you upgrade to Premium this time around, or stick to the freebies? Once gain, if you have trouble with Tiering Up, come to Joymmo.com for Cheap Rocket League Items.